Most people manage numerous financial accounts such as checking accounts, savings accounts, credit cards, mortgages, and various other reoccurring bills. Historically, we needed to deal with each account separately by mailing in payments, keeping a record of each transaction, and ensuring the correct funds were available. This process was cumbersome and took too much time. Today’s online banking technology has solved those complexities. Now people can remotely manage all their accounts from one interface, saving time, adding flexibility of how money is managed, and significantly improving the overall banking experience. The old-style banking analogy is very similar to the multiple types of IT infrastructure management tools companies have used in the past (and some still use today) to run their business. Over the years, businesses built their IT infrastructure environment with separate servers, storage, and networking components, making their data center too complex and difficult to manage. These IT environments quickly grew out of control, along with the myriad of management tools and specialized resources needed to maintain them. Just as online banking simplified and streamlined banking activities, many companies need one common management solution to consolidate all their infrastructure silos. Customers need a single solution, with one unified management interface, to help address the complexities of managing their hybrid IT environments that include server, storage, and networking. Most infrastructure vendors struggle to provide such a solution, as many management applications address only server management and may require separate applications to handle different storage and networking components. The challenge is that such a tool would need to provide an at-a-glance view of the health status of multiple servers, profiles, and enclosures all over the world (including virtual and physical appliances). Just like online banking capabilities, the management tool would also need to provide faster access to information, which would enable better decision making. 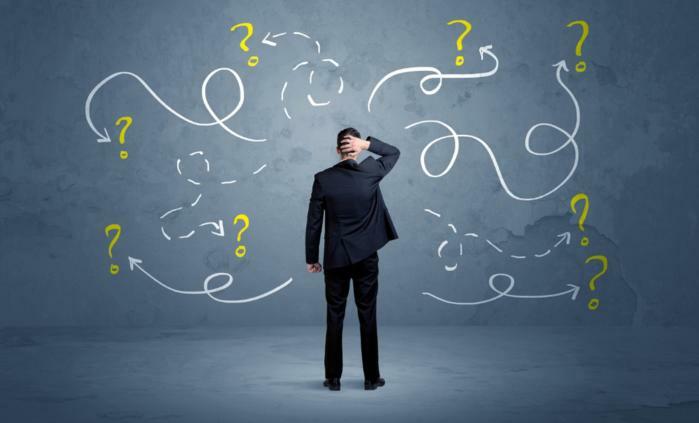 The type of tool companies need to solve their ever-growing complexity issues in the data center is not a dream for the future. This type of infrastructure management software for data centers is already available and being used by over 1 million customers around the world. HPE OneView enables customers to transform their servers, storage, and networking into software-defined infrastructure that eliminates complex manual processes, spurs IT collaboration, and increases the speed and flexibility of IT service delivery. The infrastructure management solution takes a software-defined, programmatic approach through efficient workflow automation, a modern dashboard, and a comprehensive partner ecosystem. Using one management interface, customers can pull together servers, storage, and networking for many infrastructure platforms. And if a customer has multiple instances of HPE OneView, the HPE OneView Global Dashboard consolidates their hybrid infrastructure environment into a single view, delivering much-needed simplicity. One customer, Porsche Informatik is one of Europe’s largest developers of custom software solutions for the automobile trade. The company needed to streamline the management of over 1,600 virtual servers and 133 blade servers – and they chose HPE OneView to help them do it. “HPE OneView gives us a much better and more intuitive view of our HPE server infrastructure. This dramatically speeds up many system management tasks, including the deployment of new ESXi servers and VLAN configurations, which are 90% faster,” explains Gerald Nezerka, Windows Services Team Manager for Infrastructure & Common Platforms, Porsche Informatik. Another customer, Opus Interactive, has provided cloud hosting and colocation services, supplemented by backup and recovery services, for more than 22 years. When the company was smaller, they were fine using standalone infrastructure management tools on an ad hoc basis. But after experiencing rapid growth over the last several years, Opus Interactive needed a simpler way to maintain its infrastructure in order to adhere to service-level agreements (SLAs) with more than 300 customers. They turned to HPE OneView. "HPE OneView enables us to do more with less,” explains Eric Hulbert, President and Cofounder of Opus Interactive. “In order to maintain our level of service as we continue our rapid growth, we need to get as much infrastructure and as many customers managed per engineer or administrator as possible. Because it is now easier to manage all our devices, HPE OneView makes this happen." Just like online banking, infrastructure management software simplifies the view into hybrid IT environments and allows IT managers to save significant time and reduce complexity. And new features within HPE OneView now allow customers to consolidate all of their hybrid infrastructure into a single view – no matter where they are located. A better way to manage your infrastructure is here, and organizations everywhere are using it. To learn more about HPE OneView, check out the free e-book: HPE OneView for Dummies. Or visit the website here. 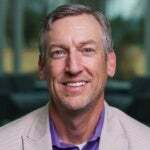 McLeod Glass is Vice President and General Manager of HPE SimpliVity & Composable at Hewlett Packard Enterprise. In this role, he is responsible for all aspects of the product lifecycle across HPE Software-Defined Infrastructure. This includes HPE Composable Infrastructure, Hyperconverged and Cloud Software product lines. McLeod has held positions in engineering and product marketing across multiple HPE business units managing server, storage and software product line.